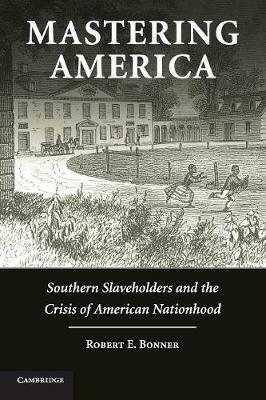 Mastering America recounts efforts of 'proslavery nationalists' to navigate the nineteenth-century geopolitics of imperialism, federalism, and nationalism and to articulate themes of American mission in overtly proslavery terms. At the heart of this study are spokesmen of the Southern 'Master Class' who crafted a vision of American destiny that put chattel slavery at its center. Looking beyond previous studies of the links between these 'proslavery nationalists' and secession, the book sheds new light on the relationship between the conservative Unionism of the 1850s and the key formulations of Confederate nationalism that arose during war in the 1860s. Bonner's innovative research charts the crucial role these men and women played in the development of American imperialism, constitutionalism, evangelicalism, and popular patriotism.